As a CERTIFIED FINANCIAL PLANNER™ professional, Pete helps his clients create and implement comprehensive solutions to simplify their complex financial lives. Pete's process begins by gaining a deep understanding of his clients' financial goals, needs preferences, and overall financial situation. He then customizes a financial plan that accomplishes the goals and objectives while minimizing risk. 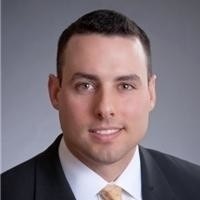 Pete joined Tide Creek in 2019 after spending almost 6 years as a Wealth Management Advisor with a top investment firm in the Baltimore area. Before that, Pete spent over 2 years with a Fortune 100 insurance company in the St. Louis area. Pete earned his bachelor's degree in General Business from Georgia College & State University, where he was an all-region baseball player. After college, Pete spent two years playing independent minor league baseball. Outside of the office, Pete is an avid outdoorsman and volunteers his time with conservation organizations. He resides in Sparks, MD with his wife, Ashley.